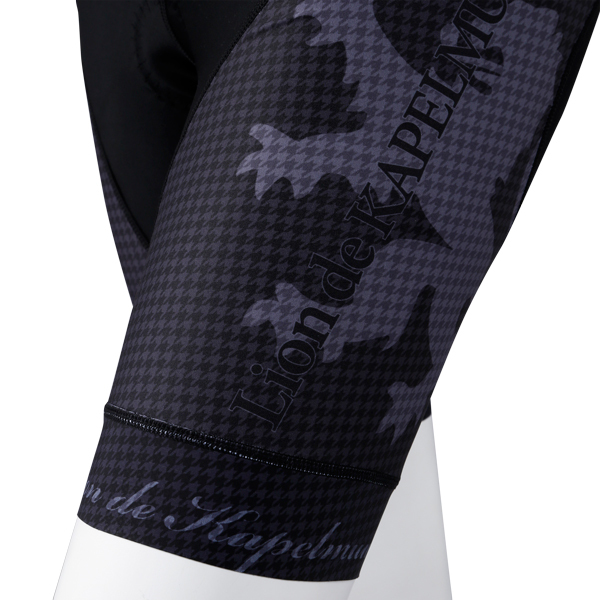 Anti-slip silicone gripper tape on the hem. 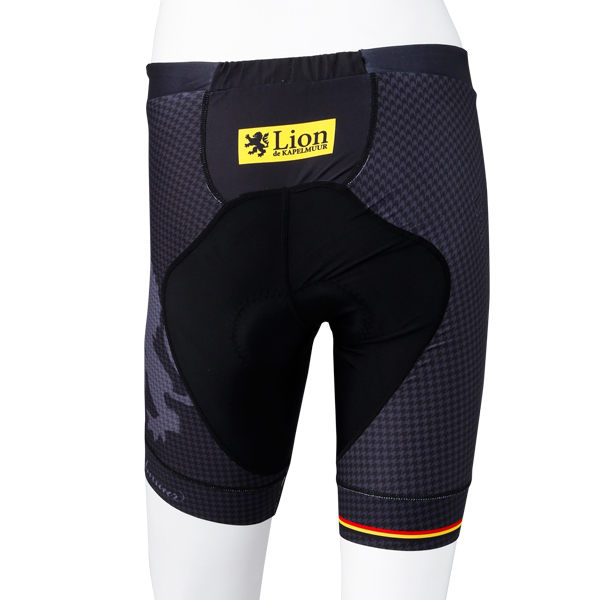 Long awaited Triathlon gear from Lion de KAPELMUUR brand. 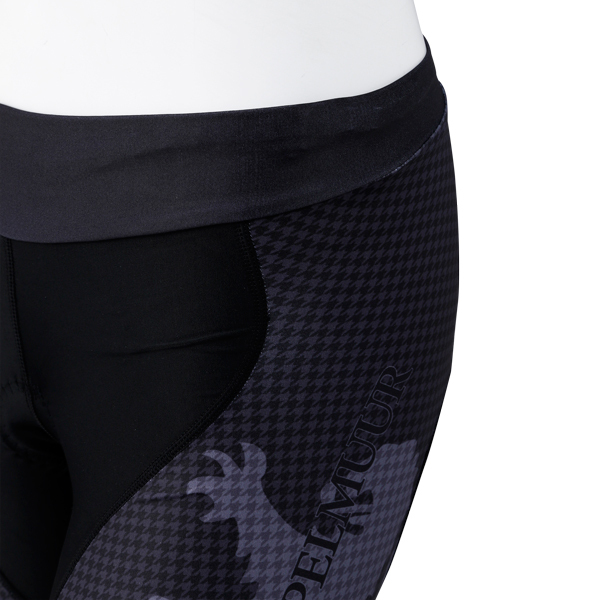 New ergonomic women's cut panels for an ideal fit. The wide and soft waist elastic for stress-free fit. Inner thighs flat seam stitching and anti-slip gripper tape offer you a flat and smooth surface for better feel and less abrasion against your skin. 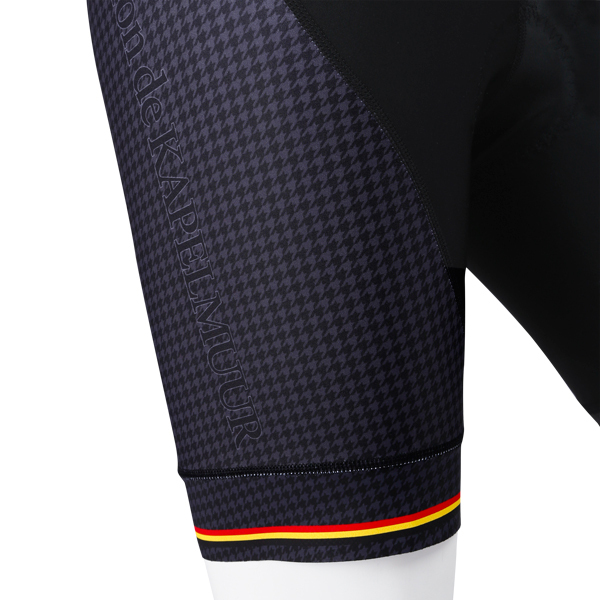 Monotonous KAPELMUUR houndstooth with Belgium flag line. 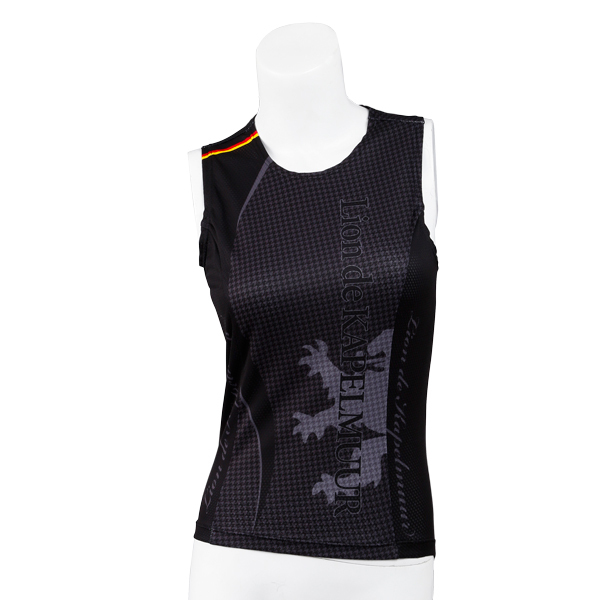 Its chic asymmetric design is one of the good choices for those who don't like sporty design outfits. 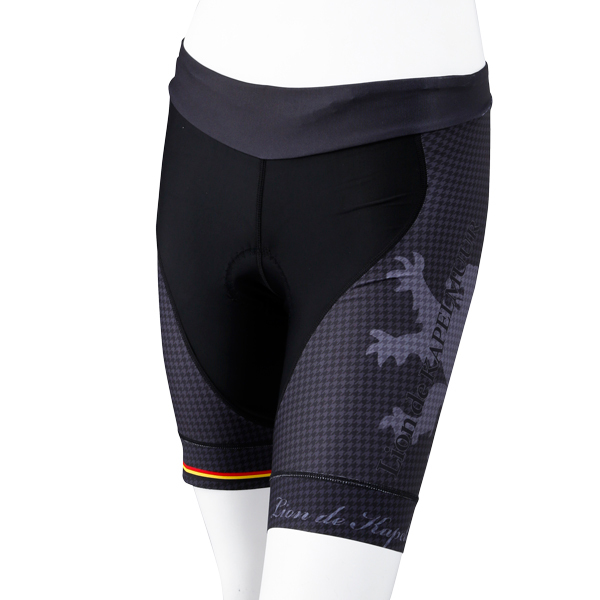 Thin and light triathlon pad offers you a comfortable feel even during running and swimming.